While the (relatively) blossoming popularity of documentaries is encouraging, it is also undeniable that a number of these pictures have achieved said popularity by borrowing from the well-worn three-act structure of fictional films. These documentaries, such as Young@Heart or even Man on Wire, give audiences the reassurance of feel-good entertainment along with the (self-)satisfaction of choosing something “real” to see over a fictional counterpart. The documentaries that take greater advantage of the potentially freer form, such as My Winnipeg, usually seem to miss the financial boat. Sequestro (Portuguese for kidnapping) doesn’t contort its material to fit a conveniently encouraging mold. The picture opens with slick graphics (the most overtly “produced” portion of the film) giving us a brief overview of the recent history of Latin American kidnapping as supplemental income for leftist guerrilla operations; then drops us in São Paulo, Brazil, a city that, in 2000, was estimated to have investigated over 2000 official and unofficial kidnapping cases. 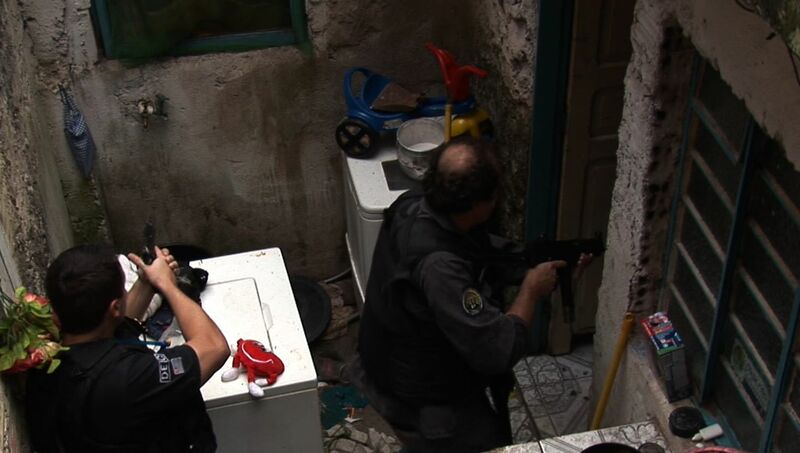 The Sãu Paulo Anti-Kidnapping Division was created as a response, and, as of 2009, the “official” cases have been reduced to 70. There is potential here for a film trafficking in falsely comforting uplift, an invitation to gloss over the despairing, chaotic life of an urban jungle (vividly captured) in favor of the heroism of the task force; and, while that is partially the drive of the film, director Jorge Atalla doesn’t allow you to forget the casualties, of both the intended victims and the enforcers. Sequestro has a simple structure that slowly overwhelms you—alternating between interviews with recovered kidnapping victims and footage of the Anti-Kidnapping division counseling families and coercing intelligence from underlings and raiding lairs of perpetrators. Atalla doesn’t linger on the celebration of the recoveries; he moves to the next interview, the next raid, the next life-or-death dance of wills. The point arises: the fulfillment of the job is fleeting, enough to keep the team pushing forward to the next tragedy. The film, as organized, details dozens of cases, but they blur in your mind as a huge unending nightmare, an uncontainable, rampaging monster. Accepting the task force’s heroism as matter of fact ultimately does greater justice to the obsessions and sacrifices of these people, as they are allowed to be humans as opposed to objects for our admiration. Sequestro is terrifying and clear-headed.